Velma Bolyard is a fiber, paper and book artist working with mostly locally gathered materials for textile, paper, and book making. She recently retired from 25 years of teaching special education in alternative public school settings. Her passion is to make art that explores environment and the connection to place, and teach others technique to inspire them to push their own work. Currently she is exploring the properties and personality of flax/linen and milkweed and is working on a larger project, Hortus Siccus about plants and place. She writes a blog, Wake Robin www.velmaboyard.com about her work and life. 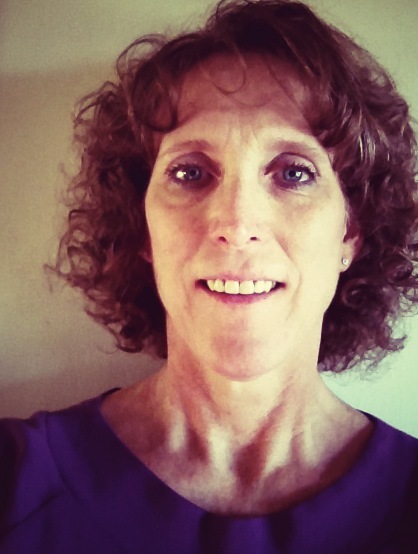 Velma will discuss her work as a papermaker and artist and share examples of her work. After years of supporting the Book Arts community with the wonderful 23 Sandy Gallery Exhibits and events, as well as supporting and representing many artists, Laura is staring a new chapter in her creative life. Join us for her final trunk show, featuring the exhibit, Built. This international juried exhibition of book and paper art aims to examine the relationship between contemporary book art practices and architecture, engineering, landscape and construction as form, function, and structure. Let’s re-image the ways we as designers, of either books or buildings can inhabit and shape the world around us. Our disciplines have a natural synergy. After all, books and buildings re both kinetic, sequential, and time based. 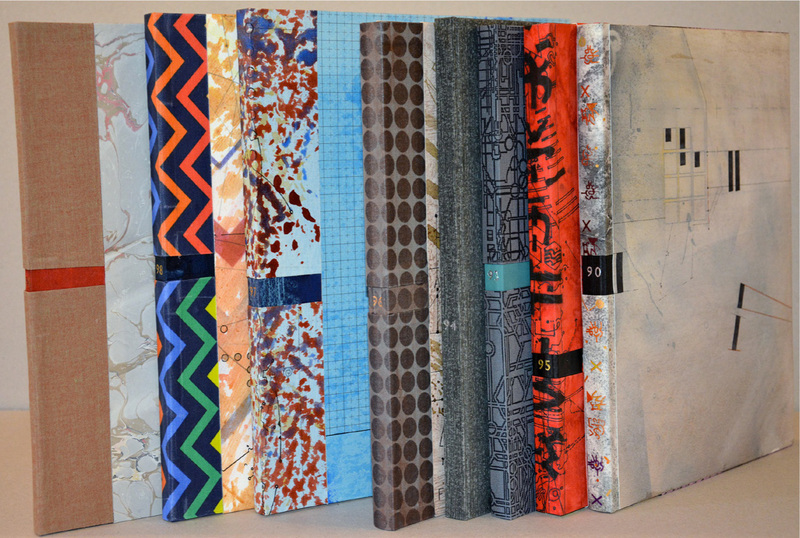 Taken a step further, book art can provide a framework for topics like urbanism, town planning, buildings, and space. Let’s examine the relationship between the built and the book. 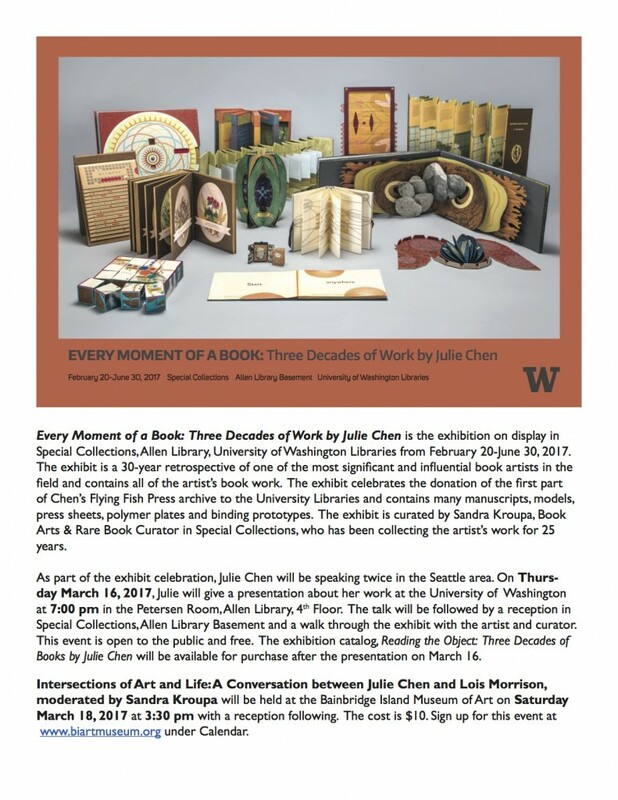 Join Professor Samuel Torvend and artist Mare Blocker to learn more about this amazing Bible on exhibit at PLU. Noted local artist and calligrapher Suzanne Moore is one of the contributors to this unique, special and inspirational publication. Please note that space is limited, so please contact Jamie Spaine: jspaine@pugetsound.edu if you plan on attending. 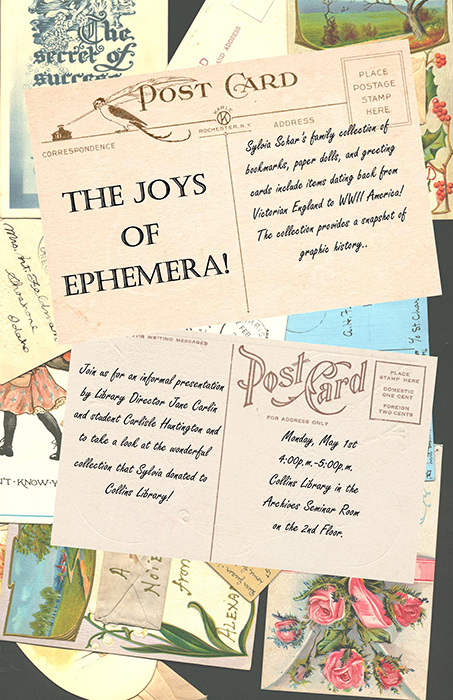 Join us for an informal presentation by Library Director Jane Carlin and student Carlisle Huntington ’20 about this new collection, donated by Tacoma resident Sylvia Schar. This collection of bookmarks, paper dolls, and greeting cards includes items dating back to Victorian England, and provides a snapshot of the history of graphic design. Join us for our thirteenth annual Wayzgoose, or, letterpress and book arts extravaganza! Meet local printers and view their wares! Print your own keepsake! Make paper! Make paper creations! 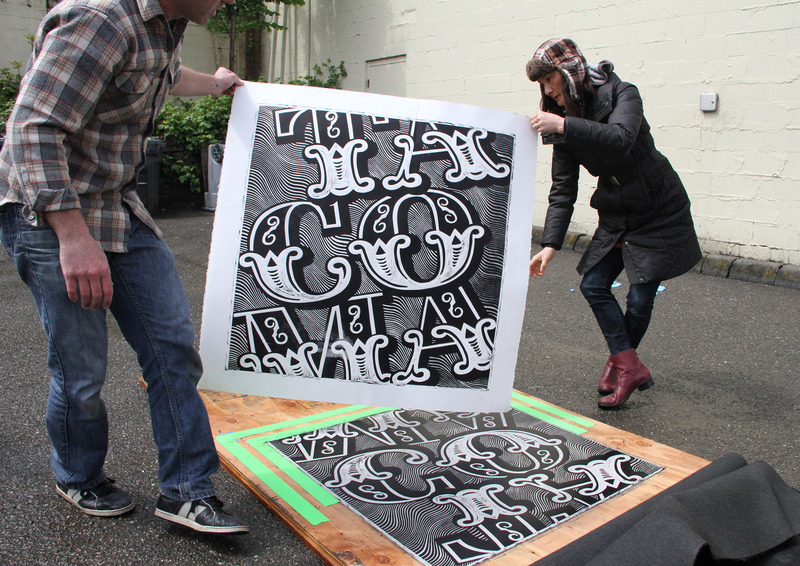 And, returning for the tenth year…Steamroller Printing, thanks to the Tacoma Arts Commission and Puget Sound Book Artists!!! 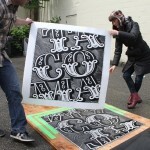 We’ll be creating 3′ x 3′ prints designed by local artists, some of which can be won at the Wayzgoose! This weekend is also the national, third annual Independent Bookstore Day! We’re celebrating independent bookstores all weekend! As it’s our 13th year, our Steamroller Prints will celebrate un/lucky events in Tacoma’s history. Bring a t-shirt or other fabric to screen print a design by Shroom Brothers! If you would like your work to be photographed by a professional other than yourself, please register for this opportunity. To organize this effort it will be helpful for us to know how many books you plan to have photographed (maximum is 3) and your first and second preference for session time. There is no charge for the photography session. We ask you bring only those books you intend to enter in the 2017 members exhibition. To register for the photography session, click on the link below. A lecture by David Wertheimer, deputy director for strategy, planning, and management for the Bill and Melinda Gates Foundation. David Wertheimer is an avid book collector. He began collecting as an after school hobby while in the sixth grade, wandering the shops on Fourth Avenue in New York City. David will discuss his start as a book collector, some of his favorites pieces from his personal collection of unique books many of which are examples of incunabula – books published before 1501! Click here for a map of the UPS campus. Wednesday, July 13, 2016, 5:30-7:30 p.m.
Join moderator Kate Albert Ward along with MalPina Chan, Kathy Dickerson, Peter Newland, and Lynn Skordal,4 artists exhibiting in the 6th Annual PSBA Member’s Exhibition for a discussion of their work and process. please contact 253.879.3236, accessibility@pugetsound.edu, or pugetsound.edu/accessibility. 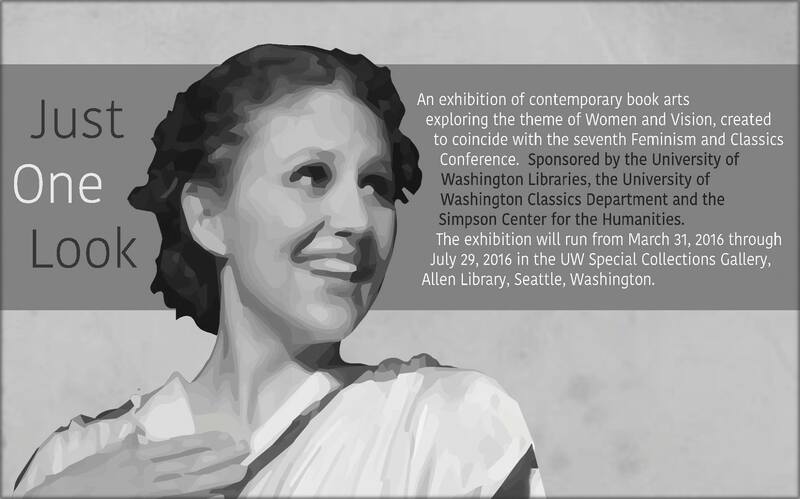 Thursday, June 9, 2016, 5:30-7:30 p.m.
University of Puget Sound’s Collins Memorial Library. 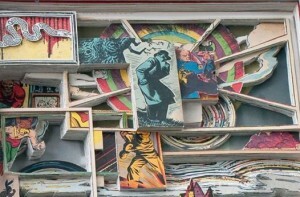 Collins Library, in association with the Puget Sound Book Artists, is pleased to sponsor a lecture by artist Tim Ely. 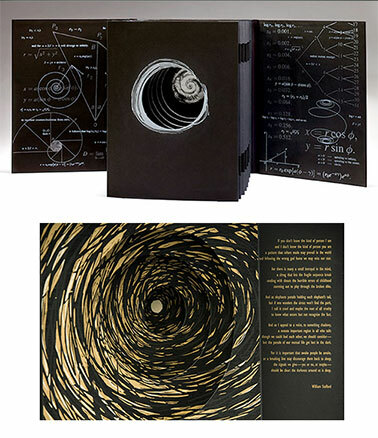 Tim Ely is a book artist whose work is engaging, inspiring and unique. 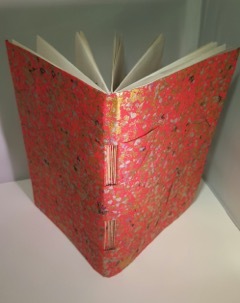 He is the recipient of many awards and honors, including a National Endowment for the Arts grant that supported travel in Japan, Italy, and England to study bookbinding and paper making.. He has had numerous solo exhibitions and has participated in many group exhibitions.. His work is in many private and public collections, including the Library of Congress, the Brooklyn Museum, the Boston Athenaeum, the Getty Research Institute, the Victoria and Albert Museum, and the Lilly Library. Tim will discuss his career, approach to his work and the impact of books as a design format. The codex is a classic Western-style structure. In the cross-structure binding multiple signatures are sewn together with the cover, which securely hold the book together and allow it to lay flat. 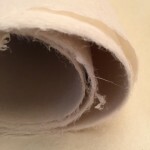 In this workshop you will learn the basics of sewing multiple signatures and explore the versatility of this structure. As a part of the PSBA Fundamentals series you can also expect to learn the fundamentals of folding, scoring, sewing signatures and about sewing tools and materials. inner fibers of three plants – gampi, mitsumata and kozo. 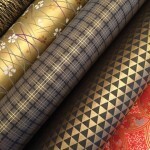 · famous artists use washi in their work. Washi is loved by bookbinders, conservators, printmakers, architects and interior designers, book artists, printers, graphic designers and calligraphers. precious material to enhance their work and spark creativity. 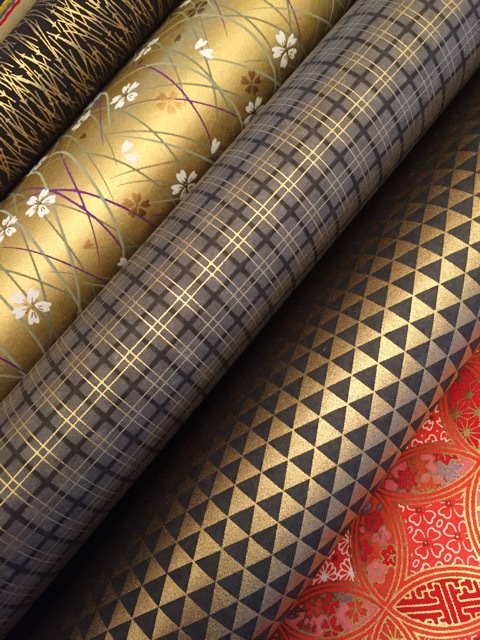 enterprises with an exceptional range of premium Japanese papers and related products. Is folding paper your passion? Join me for a three hours of folding fun as we create a new book structure I invented based on the Turkish map fold. 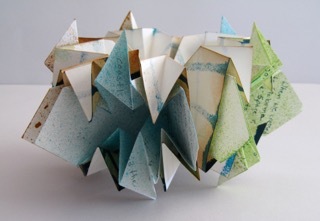 In this class you will learn to fold an accordion book into a complex, flowerlike structure that has removable pages and layers of space for color, text, and images. As part of the 2016 SOAC Focus series on Storytelling, the University Gallery presents an invitational exhibit featuring notable, regional artists whose work utilizes the book. The show will explore the book’s long history as a vessel for stories in new and contemporary ways. The University Gallery is open Monday – Friday, 8am-4pm and by appointment. The Gallery is located in Ingram Hall on the northwest corner of the Pacific Lutheran University campus. 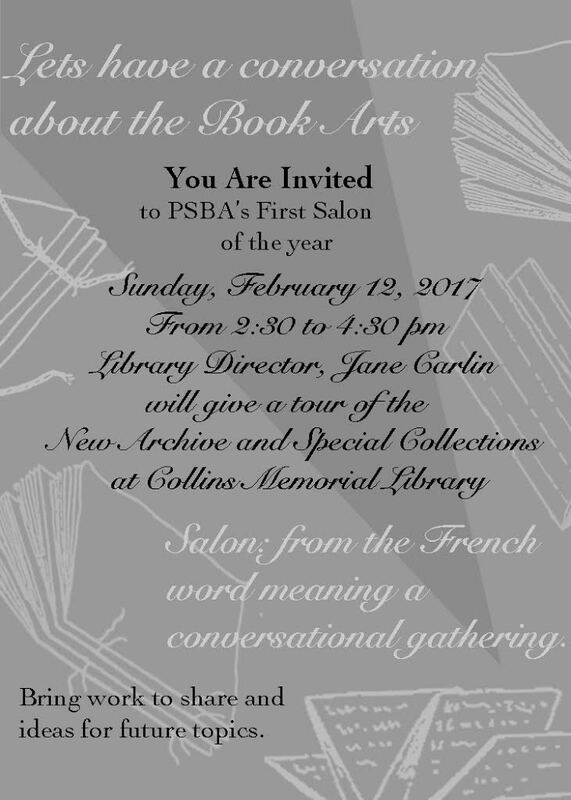 light refreshments will be served James Allen was a guest of the Puget Sound Book Artists at Collins Memorial Library in January, 2015. Whether you missed his presentation and his excavated books or would just like to meet him again and see new work, this is a wonderful opportunity for everyone. Also, be sure to visit James website! Hours: Monday–Friday, 10 a.m.–5 p.m.; Saturday, noon–5 p.m.
Closed on Sundays and during university holidays and breaks. Collins Memorial Library in association with Puget Sound Book Artists is pleased to welcome artist and gallery owner, Laura Russell in a special presentation. Pricing a work of art is never easy. 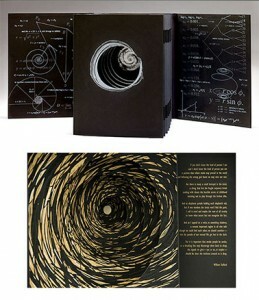 Pricing a book as a work of art is even more formidable. 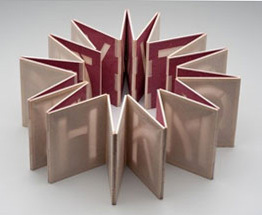 Variations in materials, structure and production methods make determining fair prices for artist books very difficult. Pricing can be a very scary prospect when creating any new project. 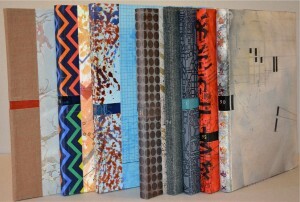 How can a book artist be compensated for the untold hundreds of hours that go into the research, design, printing, binding and other countless processes involved in crafting a unique bookwork or editioned masterpiece? Based on Laura’s many years of experience selling artist books both as artist and dealer plus a previous career as a professional in the field of marketing, publishing and advertising, this lecture covers such topics as pricing strategies, research, the market values of artist books, pricing pitfalls, various pricing formulas, how to raise prices, ethics and offering discounts. Laura will also share some of the works that are currently on display from the Blood Quantum Exhibition at her gallery in Portland, Oregon, 23Sandy Gallery. Image credits, left to right: © Matt Runkle, Elsi Vassdal Ellis and Hidde Van Duym. Click here for a map of the University of Puget Sound. Alicia has a particular passion for works that include elements beyond surface printed images and text; that move beyond traditional book forms and embrace presentation flexibility, rigid page construction and use of alternative materials. 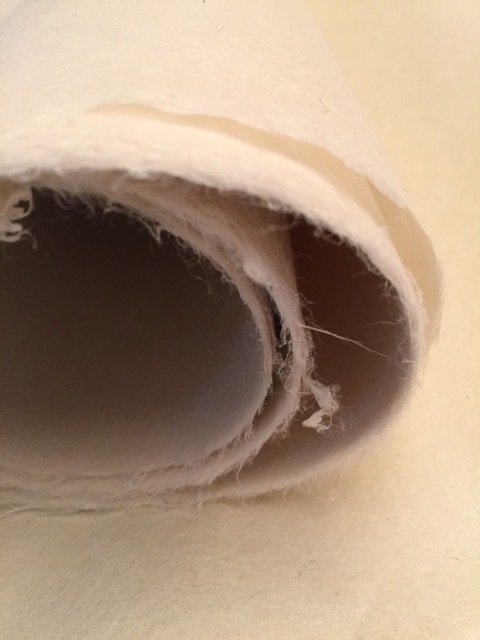 For this presentation, Alicia will bring selections from Abecedarian Gallery’s recent exhibition Content: Artifact, as well as some of her own work to share. After a brief overview of her involvement with contemporary book arts, Alicia will talk about specific individual works, their construction, appeal and relevance, with opportunities for questions from the audience and hands on examination of some very special book works. 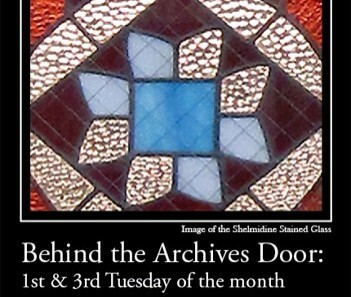 PSBA is pleased to partner with the Behind the Archives Door Lecture Series at Collins Library to sponsor this presentation. Come to our fourth annual Paper Trails Book Arts Festival! 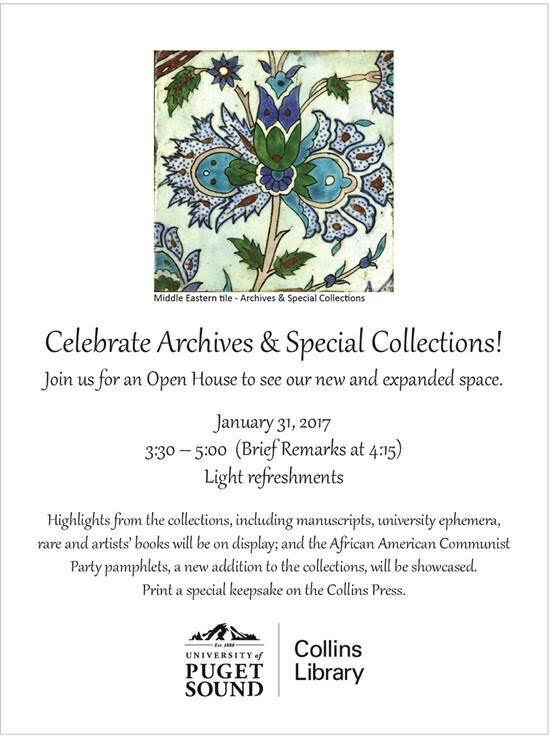 On view will be hand-made and hand-embellished papers, fine calligraphy, hand-made art books, letterpress items, origami, unique cards and gifts, and imaginative paper designs and fabrications! Meet local artists and view their wares! A make-and-take table offers hands-on projects for adults and kids! 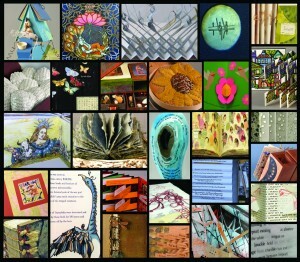 Paper Trails is produced by Tacoma Book Artists and sponsored by Tacoma Calligraphy Guild and Puget Sound Book Artists. Local artist Suzanne Moore will talk about her new book, A Musings, designed to celebrate the life of Aileen Kane of Puget Sound. The manuscript book, which explores some historical, symbolic and spiritual aspects of the letter A, was commissioned by Collins Library to serve as a reminder of Aileen’s dedication to language and literacy, while offering students a contemporary example of historical manuscript principles. Suzanne will present from 4:30 to 5:15 p.m. and all are invited to a reception at 5:30 to celebrate Aileen and completion of Suzanne Moore’s book, A Musings for Aileen. 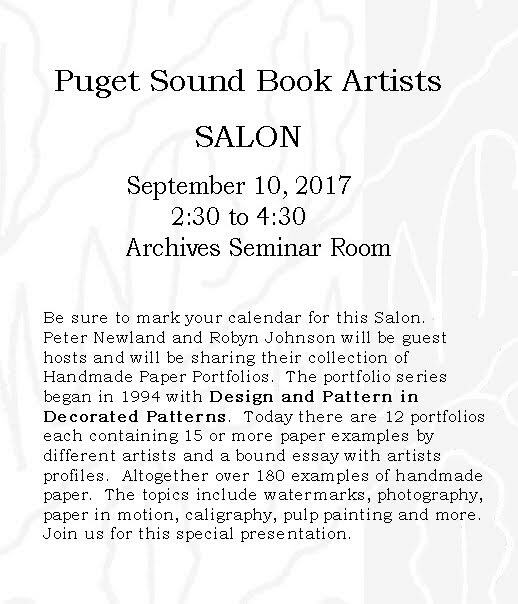 Bill and Vicky Stewart, artists’ booksellers are back for their 6th visit to Puget Sound to share some of the newest artists’ books in their collection. Bill and Vicky are more than happy to set up short meetings with local book artists. Visit their website or email them at mail@vampandtramp.com. Chris Fritton, former Studio Director of the Western New York Book arts Center, resigned from his position there in November 2014 to embark on a worldwide tour of letterpress print shops – stopping and making prints at each. To date he’s done the southeast and southwest of the US, and he’s soon headed to the northwest. 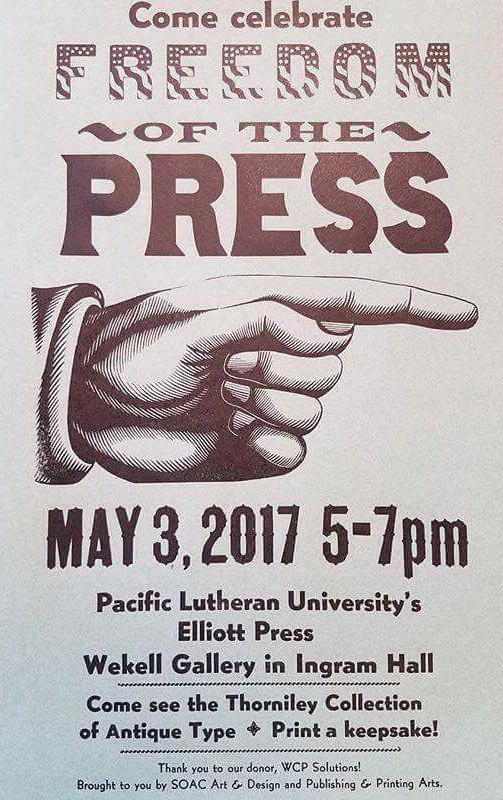 The public is welcome to meet this modern tramp printer when he visits Mare Blocker’s class at Elliott Press, PLU. 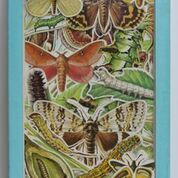 An interdisciplinary exhibition featuring natural history specimens, artist books and poems selected from an international call for entries. September 10, 2015, 5:30 – 7:00 p.m. Thanks to our community and campus partners: Slater Museum of Natural History, Department of English, Catharine Gould Chism for the Humanities and Arts, Department of Art, Puget Sound Garden Club, The Evergreen State College, Puget Sound Book Artists, and Tacoma Smelter Plume Project – Dirt Alert! of the Tacoma-Pierce Health Department. Reflections on Dirt? Perspectives on the Exhibit by Curator, Lucia Harrison – September 10th from 7:00 to 8:00 p.m. in Room 020 Collins Library; the event will be preceded by a reception for artists and poets from 5:30 to 7:00 p.m.
Art/Science Salon – September 17, 2015 from 4:30 – 7:30 p.m. Staying Healthy With Polluted Soils – September 24th from 4:00 to 5:00 p.m.Presentation by Walter Burdsall from the Tacoma Smelter Plume Project in the Archives & Special Collections Area, Collins Library, 2nd Floor. Earth Pigments: Making Paint from Soil –October 3rd from 11 – 1:00 a.m. in Collins Library, Room 020, Gallery talk by DIRT? 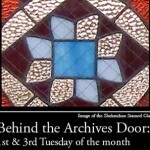 curator Lucia Harrison from 10:00 to 10:15. This is an open informal workshop. Visitors are encouraged to visit the DIRT? exhibit and join Lucia and friends in room 020 to make paint from soil. Dirt? Poets Reflect on Soil and the Environment – October 15th from 6:30 to 8:00 p.m. Poetry readings by writers in the Dirt? exhibit moderated by Lucia Harrison. The event will take place in the Archives & Special Collections Area, Collins Library, 2nd floor. Learn more about DIRT with our research guide. 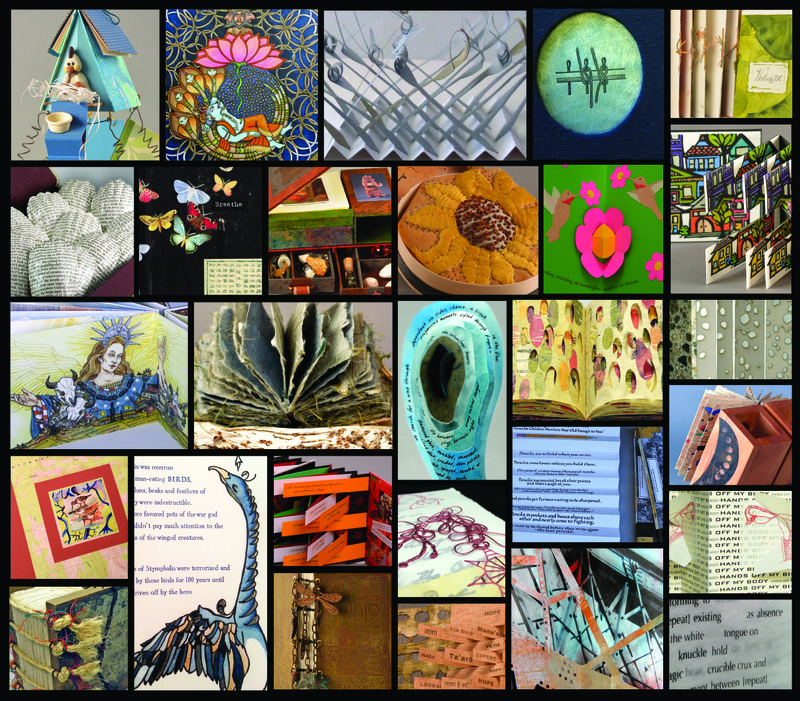 Nationally recognized paper and book artist, Helen Hiebert of Edwards, Colorado will share examples from her studio practice, including Interluceo, her newest artists’ book about paper, geometry and light, and The Wish, a community installation project that resides in a Denver library, as well as her efforts to put hand papermaking on the map through her how-to books and blog. Helen will also bring copies of several of her other artists’ books to show. 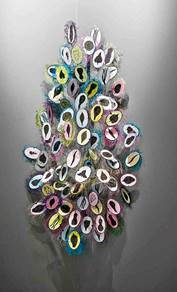 Helen Hiebert is a Colorado artist who constructs installations, sculptures, films and artist books using handmade paper, thread and light. 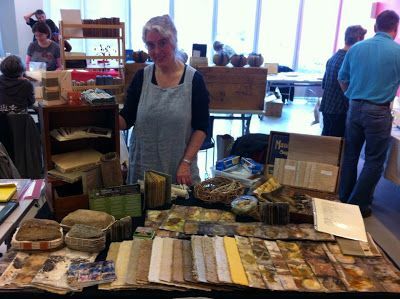 She teaches and lectures about papermaking and lampmaking and exhibits her work internationally. She is author of the books Papermaking with Plants, The Papermaker’s Companion, Paper Illuminated, Playing With Paper, and Playing With Pop-Ups. Helen has an extensive network of paper colleagues around the world and her interest in how things are made (from paper) keeps her up-to-date on current paper trends, which she writes about in her weekly blog post called The Sunday Paper. Helen’s most recent installation, The Wish, is a giant dandelion sculpture at Anythink Huron Street Library in Thornton. She holds an annual paper retreat in her Red Cliff studio each September. 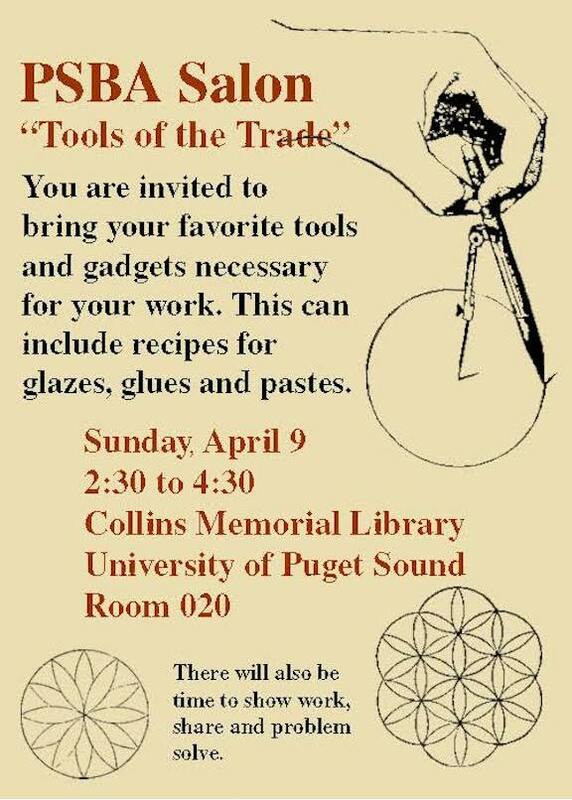 Sponsored by the Collins Memorial Library, in association with the Puget Sound Book Artists. Note! Look carefully! Some times, dates, and venues have changed from the original exhibition prospectus! Take note! This year, Wayzgoose has been extended to two days for twice the fun! Kate Kern is a visual artist who makes drawings, artists’ books, and installations. Born in Milwaukee, Wisconsin, she received a BFA from the University of Dayton, Dayton, Ohio and an MFA in drawing from the University of Cincinnati, Cincinnati, Ohio. Kern has been the recipient of grants from the City of Cincinnati, the Ohio Arts Council, Arts Midwest and Summerfair. She was a finalist in the Cincinnati Art Museum’s inaugural 4th Floor Biennial Award for Contemporary Art. Her work was included in the exhibition in print, International Drawing Annual 6, published by Manifest Drawing and Research Center. Solo exhibitions include: Small World, Aisle Gallery, Cincinnati, OH; Always and Everywhere, Springfield (OH) Museum of Art; Attract Year Round Beauty, Weston Art Gallery of the Aronoff Center for the Arts, Cincinnati, OH. She is a visual artist in the Ohio Arts Council’s artist-in-residence program. In 2011 she was a fellow at the Virginia Center for Creative Arts in Amherst, VA. Recently she curated and had work in the collaborative exhibition Wounded Home at the Lloyd Library and Museum and had an etching in Clay Street Press’ Cincinnati Portfolio IV, published in 2013. Her work can be found in collections including: The Akron Art Museum, The Cincinnati Art Museum, The Getty Research Institute, Joan Flasch Artists’ Book Collection, School of the Art Institute of Chicago; Franklin Furnace /MOMA Artist Book Collection, MOMA library, and the Artists’ Book Collections of Carnegie Mellon University, University of Cincinnati, Brown University and others. 6:30pm Collins Library Rm 020. James Allen (Portland) finds inspiration in the ephemera of the common objects we encounter everyday altering objects such as books, magazines, photos, and postcards to create new experiences through existing media. He earned a BFA in 2000 from the University of Wisconsin Milwaukee and was featured in the book, Art Made from Books: Altered, Sculpted, Carved, Transformed. A majority of Allen’s artwork is reductive: he takes a common-place objects and alters them by removing parts or fragmenting and reconstructing them. Allen calls this refers to this sculptural process as Book Excavations. Each Excavation begins by cutting a rectangular hole in the cover of a book. Then, one page at a time, he cuts his way through the pages. By selectively keeping fragments of images and words he creates a composition using the content of the book as it emerges. He leaves the book bound and doesn’t move any of the pages of the book. Instead revealing the contents only by cutting away and removing sections of pages. In this way, chance and random associations are embraced to reinterpret the intended message and purpose of each book. Both narrative and compositional dynamics are considered to create a condensed reinterpretation of the book’s content. The original intent of the book is destroyed, but in the process an exquisite Excavation is created. These Excavations turn the linear format of a book into a flat “window” through which to observe many pages at once. Instead of reading from cover to cover and gaining knowledge, the meaning of the book is obscured and becomes a visual meditation on its subject. 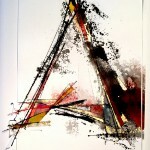 For more information about the artist and to study more of his work, visit his website at www.jamesallenstudio.com. >11:00 a.m. – 1:00 p.m.
Be sure to visit often! We are continously updating the calendar of events.